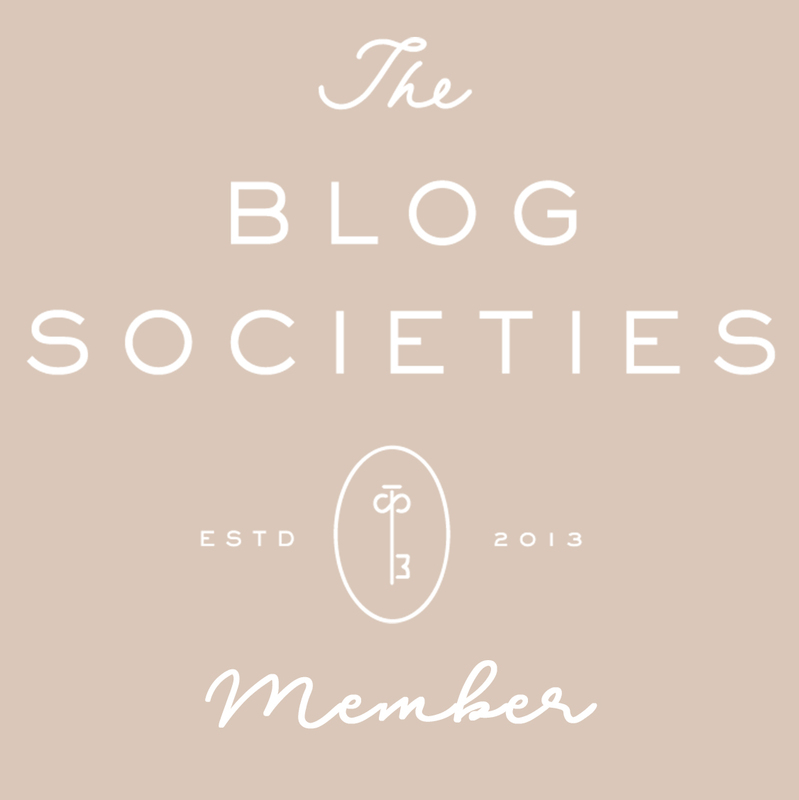 I have been promising this post for forever and I'm not gonna lie... it has been really hard to write! Mainly because I'm not a professional nutritionist [insert disclaimer here] and I attempted to count the calories and create nutrition facts/charts and that just didn't happen. This also made me realize that I'm just not the calorie counter type!! Do I look at labels? Yes, of course. Do I count calories? No, not really. I have too many other things going on in my life to create time for that. After looking at labels, and once upon a time when I created my "recipe" snacks, I know that they are all 100-175 calories - hence the quantities and small sizes in some photos. Weight of things like sweet potatoes and sizes of things like apples can also vary a calorie amount. SO take that with a grain of salt (or red pepper flake hehe). So what do I do? I attempt to focus on whole foods, great flavors, and things that entertain me and keep me full! Yes, entertain me because food is fun ;) I believe in a balanced diet. I don't cut out carbs (tried it - made me feel worse), I limit my dairy intake, and I like to eat more veggies than I can name. I gave myself a $50 limit to spend on snacks at Trader Joe's so that I could show y'all affordable and easy recipes with foods that you can mix and match so you get more bang for your buck!! Think of it like buying a sweater... You don't want to wear it with one outfit right? 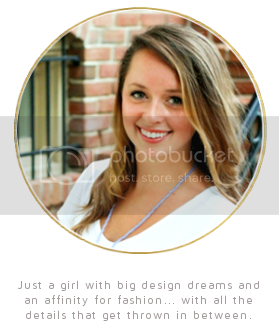 Nope, you want to style it multiple ways. I feel the same way with my food. If I buy an avocado I don't want to use half and then let the other half go to waste (I know, bad example because that would neverrr happen), I want to use it in another snack! The past year I have really kick-started my nutrition and flipped my life for the better. I implemented a work out plan, changed my diet with Isagenix (email me if you're curious!! 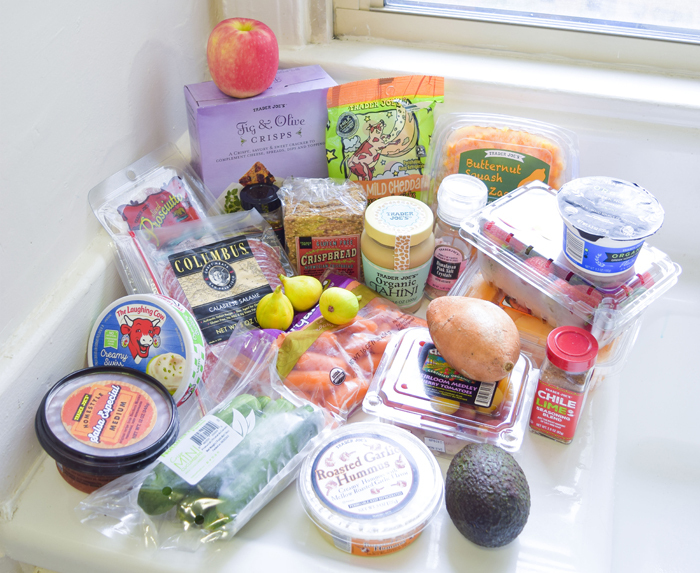 ), began eating better, and taught myself what to look for on a label to make food healthy. I'm 28 years old and just now beginning to catch on to how the balance thing works but better late than never right?! Let's jump right in shall we? Not all of my snacks are photographed *not a professional* so I've made sure to list out and bold all of my ideas. Also, it should be noted that I eat 1-3 of these snacks a day. It's all dependent on my work schedule and if I work out or not! 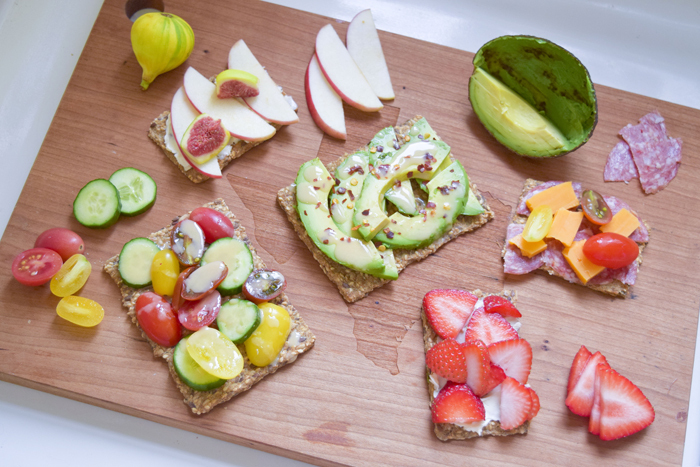 I never feel like I have to limit myself with these snacks because they're all whole and healthy balanced foods! English Cucumbers and Garlic Hummus // I like the English cucumbers because they're more bite sized with smaller seeds you don't notice. You can use any type of hummus but I love the cool cucumber with the garlic flavor. Baked Sweet Potato and Salsa + Greek Yogurt // Don't knock it until you try it!! Full of flavor and keeps you full for awhile - best before a high intensity workout! This combo surprisingly does really well combined in a tupperware. Just reheat for 30 seconds. If you're weird about the skin I would remove it before meal prepping after baking. 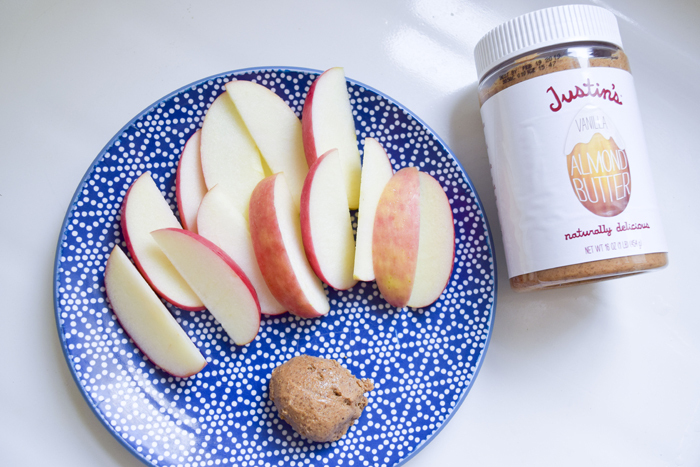 1 Medium Fuji Apple + 2 tbsp Vanilla Almond Butter // A classic combo! I'm partial to the vanilla flavored almond butter but any type would work. Almond butter is higher in calories than regular peanut butter but I'm a weirdo and don't like PB... (please don't attack me in the comments haha). Sometimes I split this snack in half and space it out during the day. Also, pro tip: if you like to pre-slice your apple, squeeze a little lemon juice or pineapple juice on them to keep the apples from turning brown. 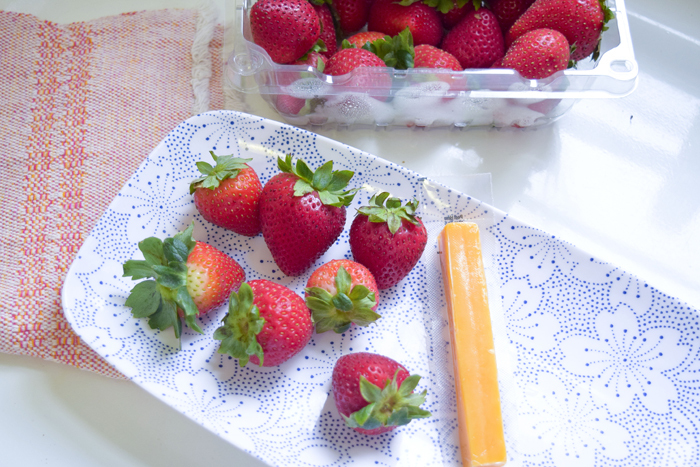 5-7 Small to Medium Organic Strawberries and 1 Cheddar Cheese Stick // I have to portion my strawberries out otherwise I would eat the entire container :) I never slice them because the juice takes over the plastic baggie and it becomes a mess. Personal preference! Why 5-7? I tend to overindulge in fruit which has more sugar than my body likes (lesson learned from years of eating only fruit as a snack). I love to balance the fruit sweetness with these cheddar cheese sticks - low in fat, no fuss, no added BS. 1/2 Medium Fuji Apple and 3-5 Salami Slices // Very basic and simple but I'm obsessed with the sweet and salty combo (especially paired with a bubbly La Croix). 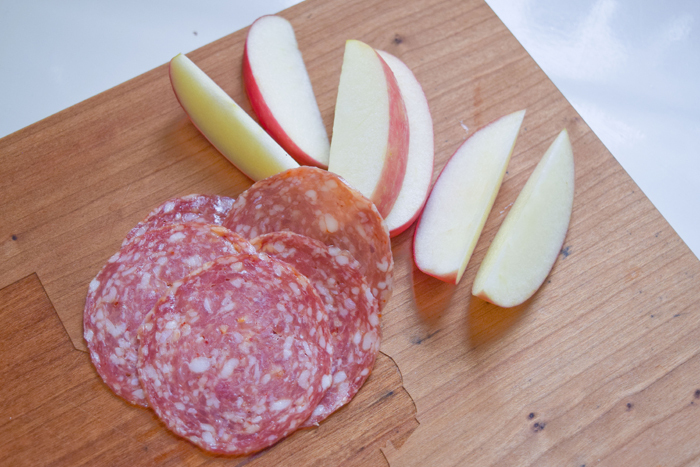 I entertain myself by eating each separately or wrapping the salami around the apple slice and eating it like a roll-up. The Calabrese Salami is the cheapest and healthiest salami at TJ's by the way! It's again important for me to portion this out otherwise I would eat too many salami slices and that's wayyyy more sodium than I should be eating haha. 4 Cantaloupe slices, 2 Prosciutto pieces and 2 Tiger Figs // This is probably my fanciest snack... it doesn't require a lot of work though! I bought the cantaloupe pre-cut so that helps with prep time. Just grab a piece of meat, slice it in half and quickly roll it around the cantaloupe! The figs are optional to add. I find myself holding a fig in one hand and a roll-up in the other and taking a bite of each at the same time! 2 Prosciutto pieces, 2 Tiger Figs and a drizzle of Balsamic Vinegar // Basically the same but without the cantaloupe slice. I first discovered this combo on a cheese board platter! The balsamic helps cut the sweetness of the fig and the flavor of the prosciutto really kicks your taste buds into high gear! 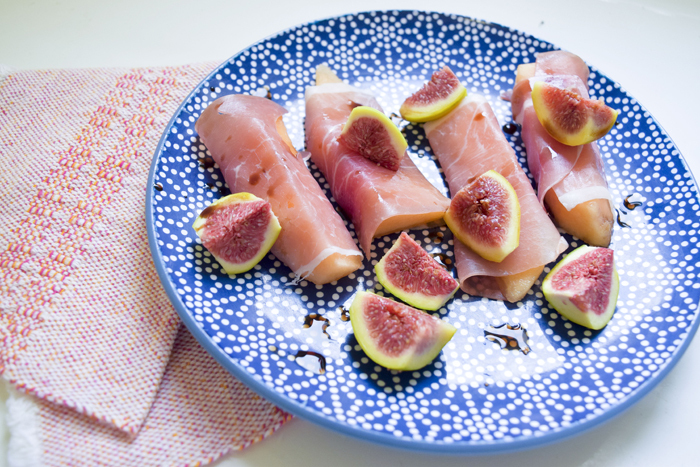 I cut the Tiger Figs into 8 pieces, rip the prosciutto up into 8 pieces and then pair them together before drizzling with Balsalmic. If you're packing this to go you can drizzle the balsamic right onto the inside of the fig slice or ditch it. Add Laughing Cow Cheese to either snack idea above! 5 Olive and Fig Crackers, 1 Low-Fat Laughing Cow Cheese Wedge, 4 Salami Pieces // I love these crackers more than anything. They're super crunchy with a sweet and salty flavoring. 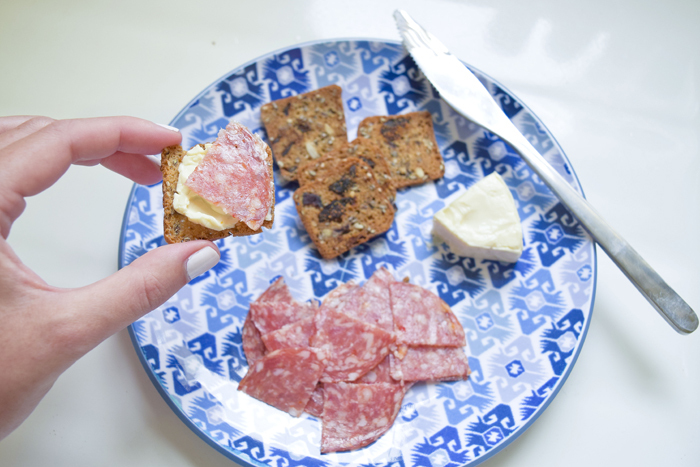 A classic cheese and salami combo makes you feel like you have a mini cheese board at your desk during work! 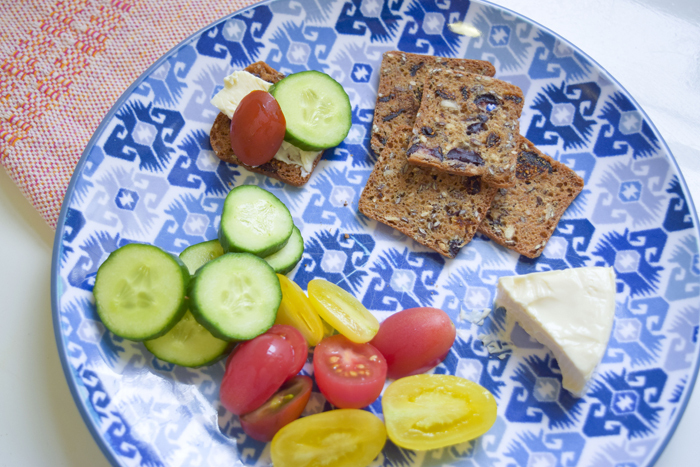 5 Olive and Fig Crackers, 1 Low-Fat Laughing Cow Cheese Wedge, 1/2 cup of Tomatoes, 1/2 cup English Cucumbers // Lots of pieces for this "recipe" snack haha. It's all about the veggies and giving them some texture and crunch to be paired with! 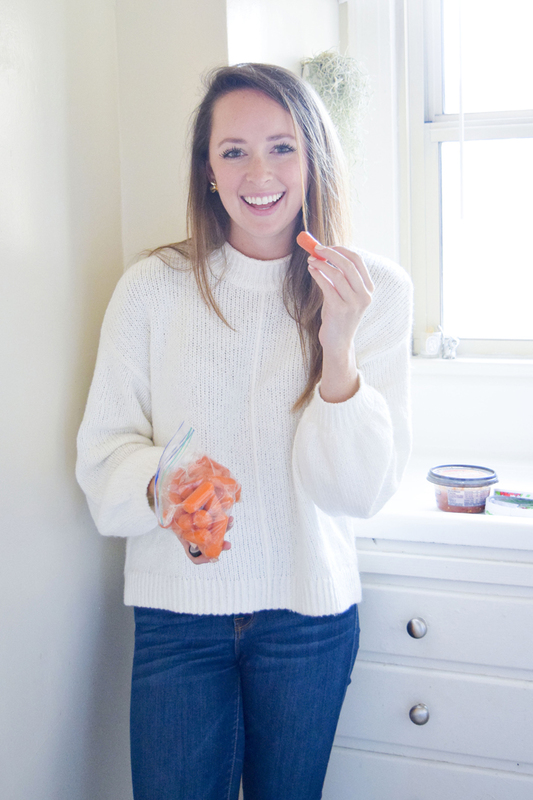 Because the veggies are so low calorie this snack definitely is a lot bigger than others. English Cucumbers, Tahini, Tomatoes, and Sliced Salami // If I'm doing a low carb day I'll try to avoid snacking with crackers or crisp bread. I like to keep it simple and nibble on salami slices with a side of cucumbers and tomatoes tossed in tahini (made from sesame seeds - I thin it out by adding a tiny bit of olive oil and water). Add chili-lime seasoning or red pepper flakes on top! 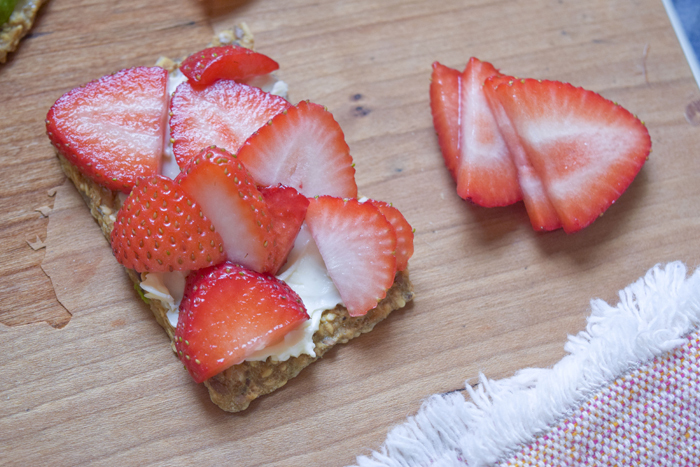 Gluten Free Crisp Bread Recipes... the options and combinations are endless! GF Crisp, Avocado Slice, Red Pepper Flakes, Tahini Drizzle // A snack take on avocado toast! I keep it simple with straight forward avocado slices but you could add tomatoes or cucumbers. I like to drizzle tahini on top to give it a nutty kick (mix with olive oil and water to thin it out). Sometimes the cracker cracks and you lose your toppings - I have mashed my ingredients together to create a guac-like texture and that works really well. "Adult Ham & Cheese" // Is it funny that I named this snack?? 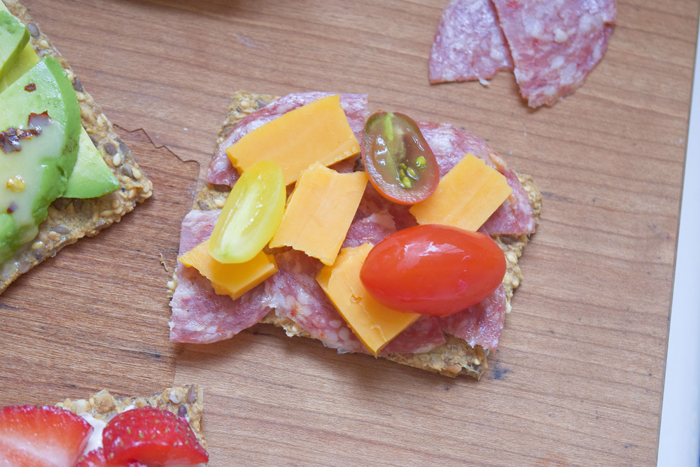 GF Crisp, Sliced Salami, Sliced Cheddar Cheese Stick, Tomato Slices - easy, straight forward, and simple! You could sub out the cheddar for Low-Fat Laughing Cow Cheese too! GF Crisp, Laughing Cow Cheese Wedge and Sliced Strawberries // I got this idea from a strawberry cake that was served with honey whipped Ricotta. It was really sweet so I thought - why couldn't I create a snack that reminded me of that delicious dessert but with a more savory flavor? The cheese plus strawberry combo gives me life! GF Crisp, Prosciutto slice, Laughing Cow Cheese Wedge // You've gotta use up that prosciutto package and the last of the cheese wedges!! 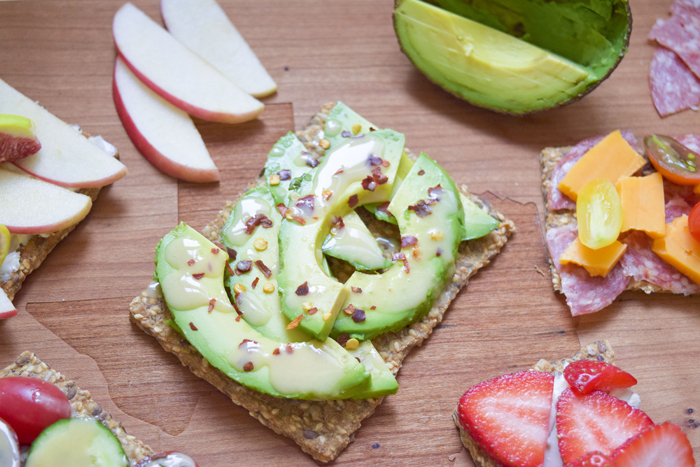 GF Crisp, Apple Slices, Prosciutto Slice, Avocado Slice // Are you catching on that any combination of the snacks above would work on this GF Crisp Bread!? Baked Butternut Squash Zig-Zags with Chili-Lime Seasoning // My all time favorite Fall/Winter vegetable snack. I eat this like it's popcorn... I'm obsessed and this seasoning is so amazing that I put it on everything (delicious on cauliflower gnocchi as well). This photo is horrible because I ate half of the container before I realized the sun was setting and it got too dark to take a photo... and then TJ's ran out of zig zags and only had the butternut ribbons (which would also work for this snack). I tossed the whole container of squash in 1/2 tbsp of olive oil and layered it with a healthy coating of chili-lime. Baked on 375 for 40 minutes and checked it the entire time - I like mine a bit crispier. I'm not a big french fry fan but this shape reminds me of them... just better! They store well in tupperware but definitely get mushier - crisp them back up in a toaster oven or under the broiler. 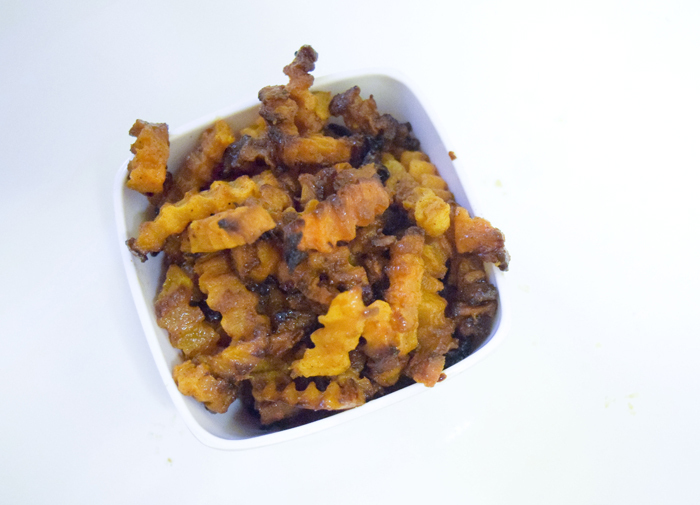 Baked Sweet Potato Slices (cut into "chips") with Chili-Lime Seasoning // Another way to make a healthy french fry alternative. I love cutting my sweet potato into various shapes: chips, fries, "toast", you name it! Roasted Sweet Potatoes (cut length-wise) with Cheddar Cheese Stick melted on top // If you cut the sweet potato from tip to tip you can create a long piece that almost acts like a piece of toast. Roast them so that they crisp up and then melt cheese on top. Instant cheese bread full of flavor!! 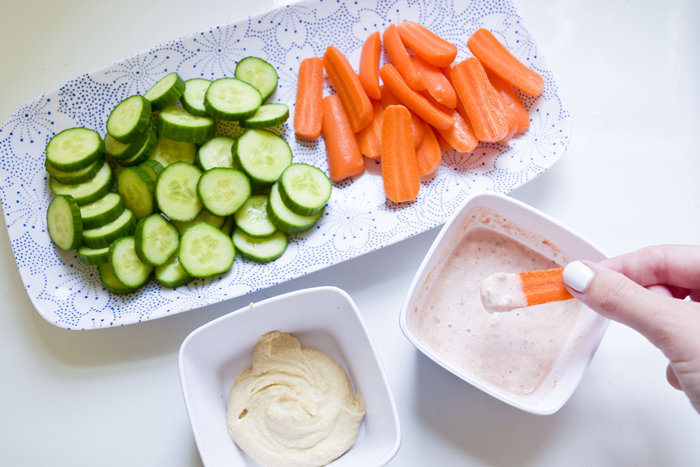 You can still dip this in the salsa + greek yogurt combo for more full on flavor! 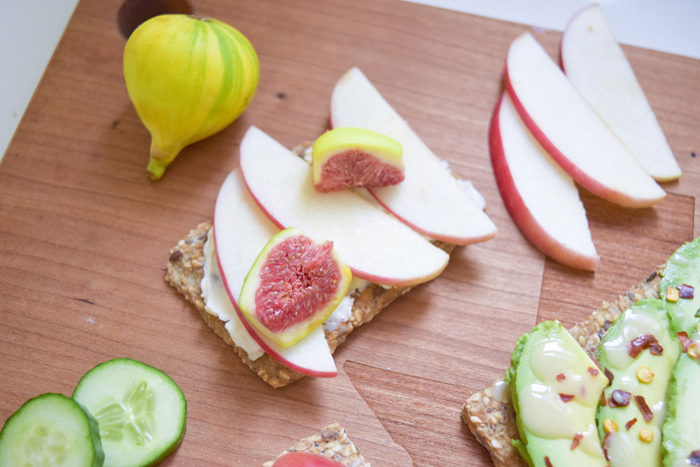 Okay that's all the snack ideas I have for y'all today - I hope you liked this post! If you try my snacks please tag me on IG (@jennrog) or shoot me an email! This health/fitness journey has been pretty awesome and I love sharing my progress and making y'all keep me accountable! Taking these photos was sure a labor of love (and a full Saturday of shooting haha) so I really hope that it will help y'all and give you some easy, yummy ideas :) I'm happy to answer any questions - just comment below so we can start a conversation!